Dec. 9. 10 am. 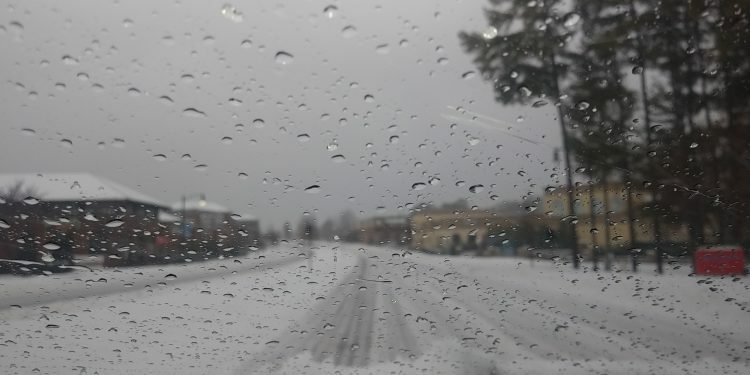 It looks like about two inches of snow has fallen in Cornelius, with what looks like an hours-long icing on top that’s making travel treacherous. There are semi-clean swipes of snow-plow paths down Catawba, Jetton and Hwy. 21, and parking lots are cleared at stores like Publix and Harris Teeter, but the coating of ice on top of snow means walking is dicey and stopping a car is an uncertain endeavor. Given the icy coating, it’s a good idea to charge all your electronic devices. A quarter of an inch of ice often results in power outages. Mt. Zion has cancelled Sunday services; Bethel Presbyterian’s 10:30 am service is “on,” but Sunday School is cancelled. Barnes & Noble in Birkdale is closing. Cashion’s is open. Food Lion is open as well, but managers are discussing closing later today. People who do not need to travel should stay off the roads, in part, to not burden First Responders. Charge all your electronic devices. Beware of ice on tree limbs and power lines. The icy mix will continue today, with a high near 33, according to the National Weather Service. Freezing rain will continue today over most of the Charlotte area, with a mix of sleet in North Meck and Iredell. Temperatures staying around 31 or 32 degrees. Generally speaking, ice of 1/4 inch or more causes major power outages. Crews with the N.C. Department of Transportation are treating roadways and readying equipment to clear roadways of snow and ice. 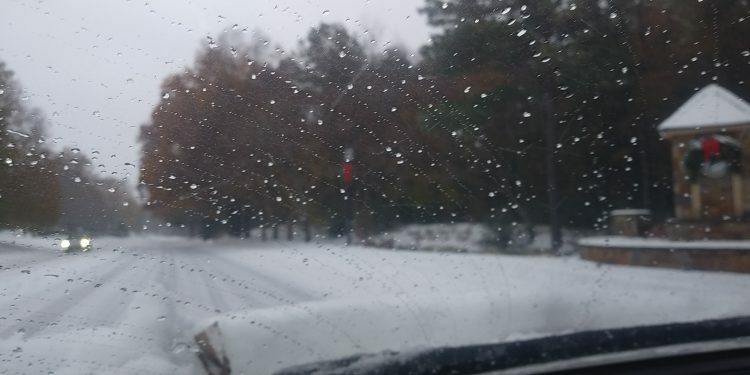 To respond to the storm, NCDOT has at the ready about 3,000 staff, 2,400 trucks with snow plows, and more than 135,000 tons of salt. Tonight, look for more rain and freezing rain likely before 1 am, then rain and snow likely between 1 am and 2 am, then rain and sleet likely after 2 am. Temperatures will be right around 32 degrees, the National Weather Service says. New snow and sleet accumulation of less than a half inch possible. A chance of rain before noon, then a chance of rain and snow. Cloudy, with a high near 38. North northeast wind 6 to 8 mph. Chance of precipitation is 50 percent. Little or no snow accumulation expected.